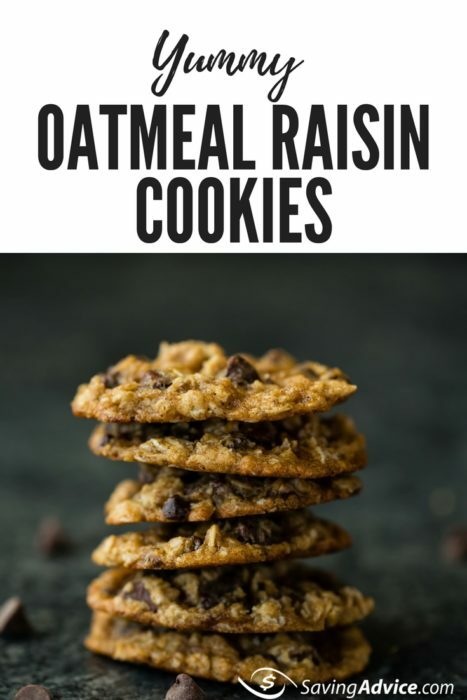 Sweet yet kind of healthy at the same time, homemade oatmeal raisin cookies always taste better than anything you might buy in the store. Most of the ingredients might already be in your pantry — the following recipe makes four dozen cookies and takes less than half an hour from start to finish. 2. Grease a cookie sheet with cooking spray or brush the sheet with some extra oil. 3. Put flour in a mixing bowl; sift the baking powder, salt, and baking soda onto the flour. 4. Pour vegetable oil in a separate mixing bowl then add brown sugar. Mix for two to three minutes with an electric hand mixer on medium speed. 5. Add one egg, then continue beating for two to three minutes. 6. Re-sift entire flour mixture, then fold into egg mixture with rubber spatula. 7. Add vanilla extract and stir well. 8. Add the remaining egg and beat well with the hand mixer for about two minutes. 8. Add in oats; fold in completely with a spatula, then add the raisins and fold until mixture is incorporated. 8. Drop batter by teaspoons onto cookie sheet(s). 9. Bake for 10 to 12 minutes. 10. 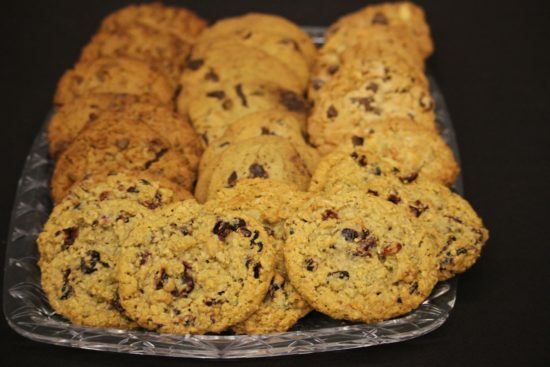 Serve warm or you can cool it down and store in an air-tight cookie jar for about a week. Quick tips: Quick-cooking and old-fashioned rolled oats are interchangeable unless the recipe calls for a specific type. Never use instant oatmeal, however. This product is not the same as quick-cooking or old-fashioned oats and should not be used for baking — you will get gummy or mushy results. You can also swap the raisins with chocolate chips — especially because this recipe doesn’t have cinnamon in it so there wouldn’t be a weird taste if you swap in this ingredient. If you enjoyed this recipe, you might like these other food-related articles in our archives. Readers, if our articles make you want to try your hand at blogging yourself, we have good news for you: You can do exactly that right here on Saving Advice. Just click here to get started.